Expect 4-6 weeks for production of this piece. This necklace cannot be exchanged due to the custom nature. Contact us to request a rush. 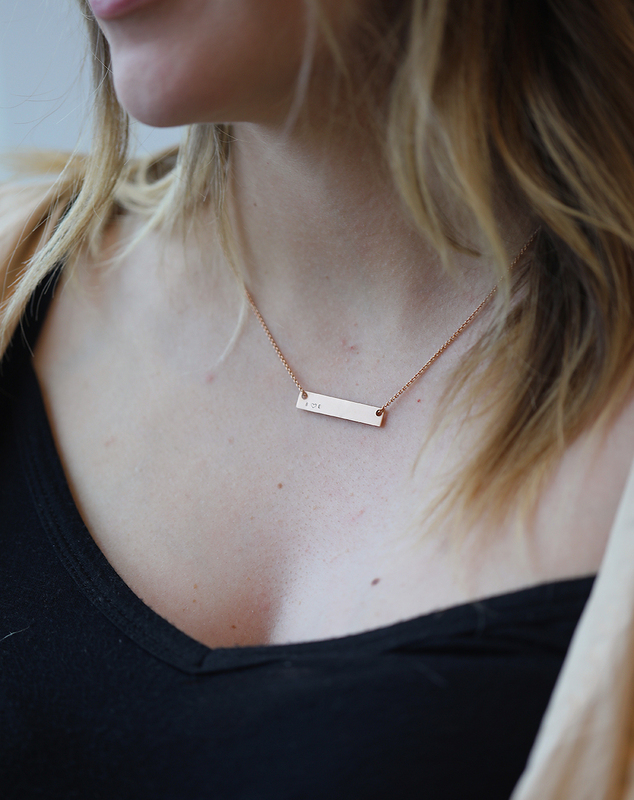 Create your necklace with a personalized message. Get creative with a word or a date that is special to you. 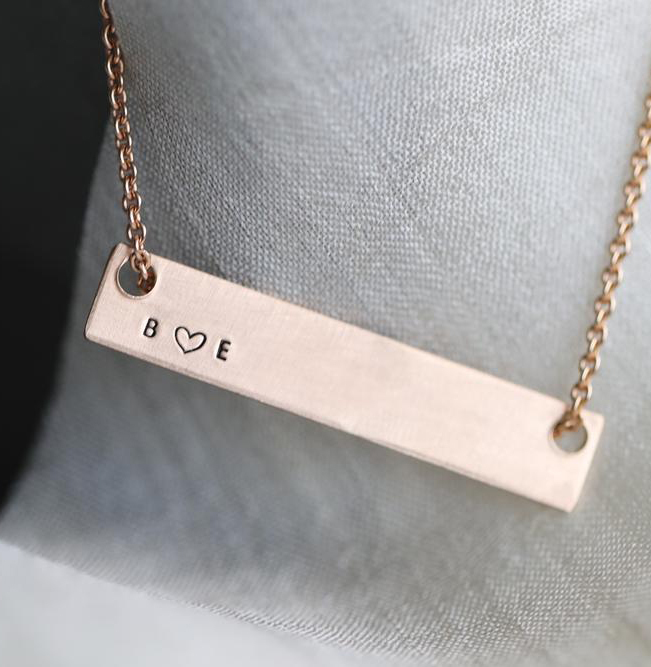 Each letter is hand stamped one at a time, making each necklace one of a kind. 14"+16", 16" + 18", 18"+20"